We did warn you that this DHL T-shirt from Vetements was going to generate chatter. The fashion label is led by Demna Gvasalia, who just debuted his first Balenciaga offering for A/W 16 to great acclaim, and he is no stranger to courting a smidgen of controversy. Demna's the man who has sparked a thousand copycat hoodies, a visionary who eschews regular models in favour of his friends and muses for the runway, a designer who literally turns socks into boots, persuades us all that a hiking jacket is a chic choice and is set on "disrupting" the industry further with new proposals for catwalk show times and manufacturing schedules. In addition to an actual DHL exec taking the tee out for an ironic spin, the man who originally created the branding, Helge Reider, has penned a piece for The Financial Times, declaring that "selling a T-shirt with a DHL logo for £185 is crazy. Buying it for this price is beyond reason… I can’t see any creativity in printing a well-known brand on a T-shirt. What is genius is persuading people to freak out about a simple T-shirt. I give the designers and marketing people at Vetements credit if they can sell an 'ugly' T-shirt for £185. It’s totally nuts." Leading blogger Disney Roller Girl responded on Twitter saying, "Ridiculous! FT should've had a counter-argument—this guy doesn't understand how fashion works." 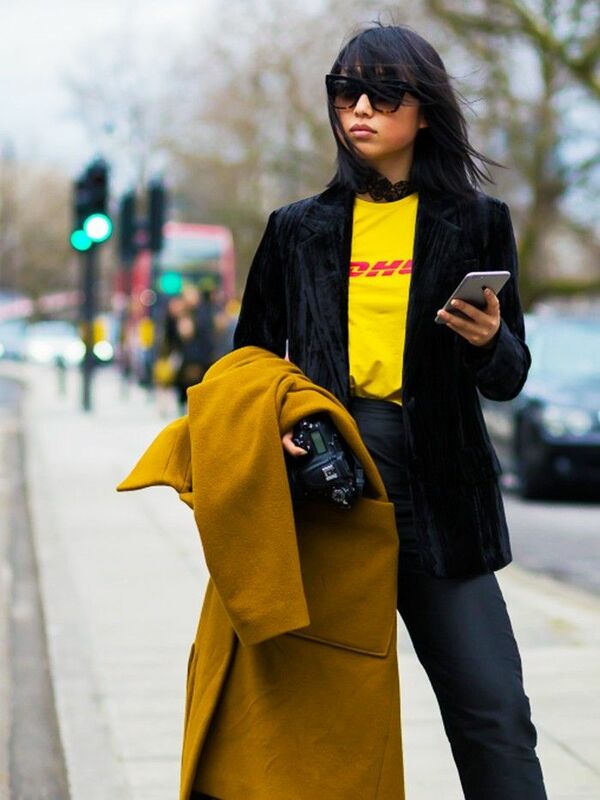 Margaret Zhang of Shine by Three wearing the Vetements DHL tee in London. This is probably why fashion moments are indeed that: a finite period of time where something like the tee in question appeals to the right people in the right frame of mind. Take the Vetements-stamped anoraks, worn uniformly by a legion of street style photographers throughout the recent fashion weeks as another example. In reaction to the trend, a pop-up e-commerce store has arrived solely stocking a parody of this one item, only this version of the raincoat has a more Internet-appropriate adaptation of the brand name printed on the back: Vetememes.